I spend a lot of time shopping at vintage flea markets. And sometimes I buy things that I know I can repurpose. A few months ago I bought these three vintage lampshades from my friend Judy @vintagejunktionla. 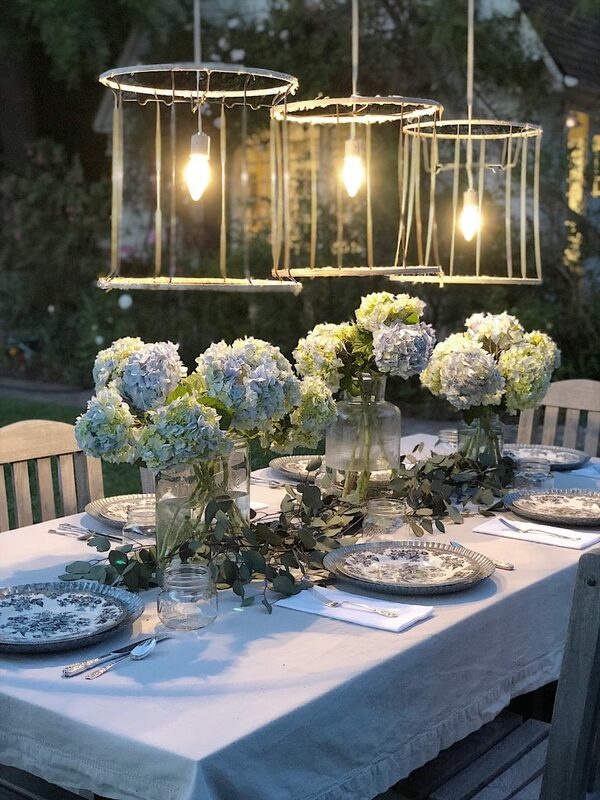 I knew immediately I wanted to make them in to a chandelier. 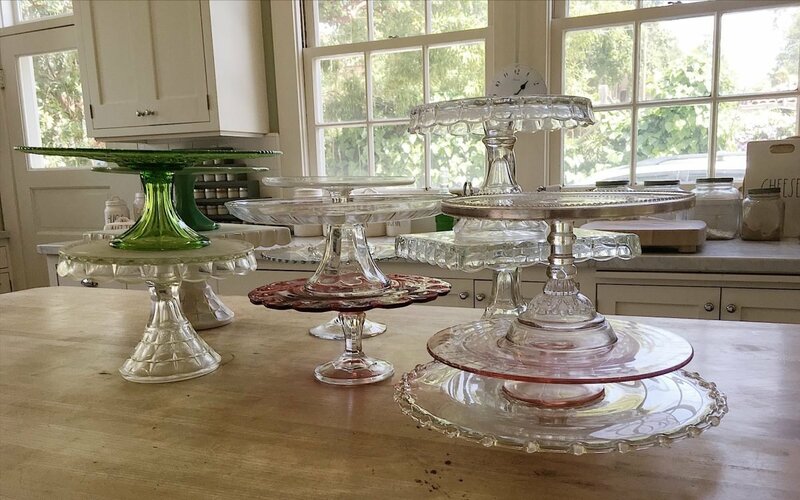 I have been collecting vintage cake stands for years. I honestly thought I was the only person that collected these. Then last year I opened my Magnolia Magazine and sure enough, I found another wise person who collects cake stands … Joanna Gaines. 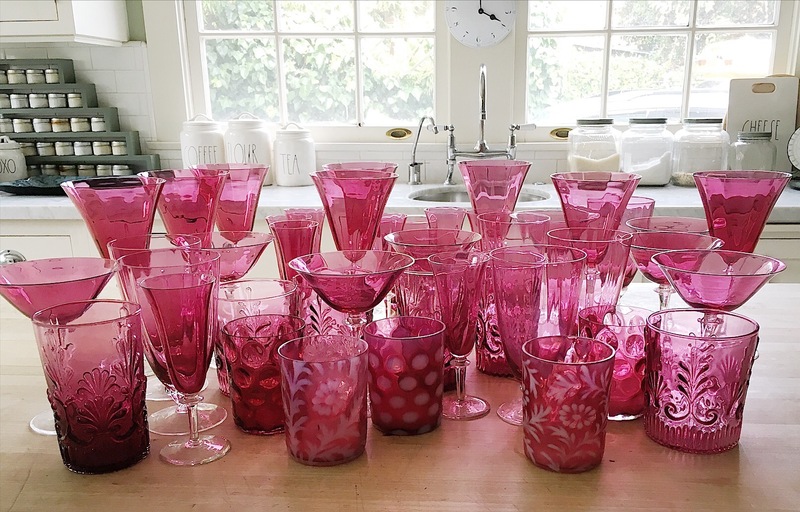 About ten years ago I found a small set of cranberry glass at an antique flea market. A few years later my mother-in-law gave me some of her mother’s cranberry glass. A few more pieces here and there and apparently I now have a collection of cranberry glass. When people ask me “What style decor is your home?”, I always answer “Vintage flea market decor”. It’s true. 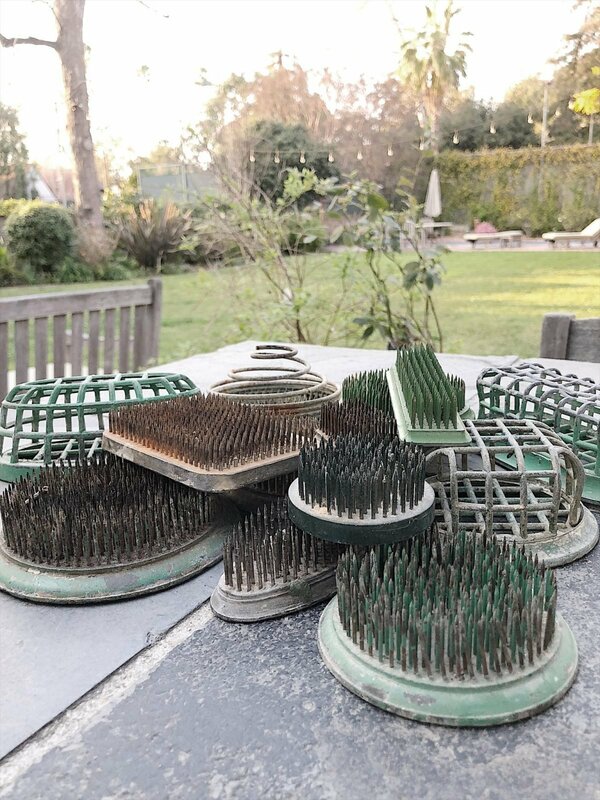 I am sure the majority of the items in my home were bought at a flea market. I have been shopping at vintage flea markets for about thirty years and today I am going to share with you some of my insider tips to flea market shopping. 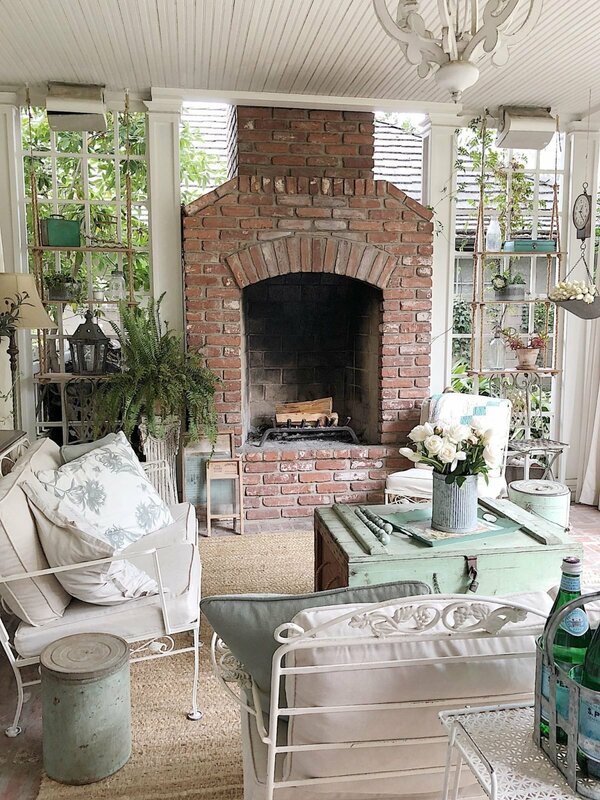 If you look at the photo of our back porch, there are twenty-two items in this photo that I bought at a flea market. So trust me, I know how to shop a flea market. Yesterday, while shopping at the Rose Bowl Flea Market, I bought some flower frogs. I posted a picture and story on Instagram of the three flower frogs I bought (for $5 each) and received over thirty messages asking, “What is that?” and “what are they for?”.